Aerial reconnaissance in a light aircraft is still one of the best ways to rapidly monitor the condition of coastal heritage sites along hundreds of miles of remote coastline. It’s one of the ways that joint-nation condition surveys are undertaken in the EU-funded Ireland-Wales CHERISH Project. CHERISH, led by the Royal Commission with partners Aberystwyth University, the Geological Survey of Ireland and the Discovery Programme, is all about joint working and knowledge sharing to develop best practice in both nations. To this end in late March, the Royal Commission’s aerial archaeologist Toby Driver joined Senior Geosurveyor Robert Shaw from the Discovery Programme to carry out two days of joint-nation aerial photography over priority coastal sites. Unmanned Aerial Vehicles (UAVs) are used by the CHERISH survey team to carry out detailed aerial 3D (photogrammetric) surveys of coastal archaeological sites, with stunning results. However, UAVs have to be used safely and legally; they have to be kept in Visual Line of Sight at all times and below 400ft, meaning there are limitations for wide-ranging survey. Hiring an aircraft means greater speed, height and distance covering hundreds of miles in a few hours, but means less detail than a lower-level UAV photograph. It’s part of the CHERISH Project’s ‘Toolkit Approach’ where each survey method has its place, depending on what you want to record and why. 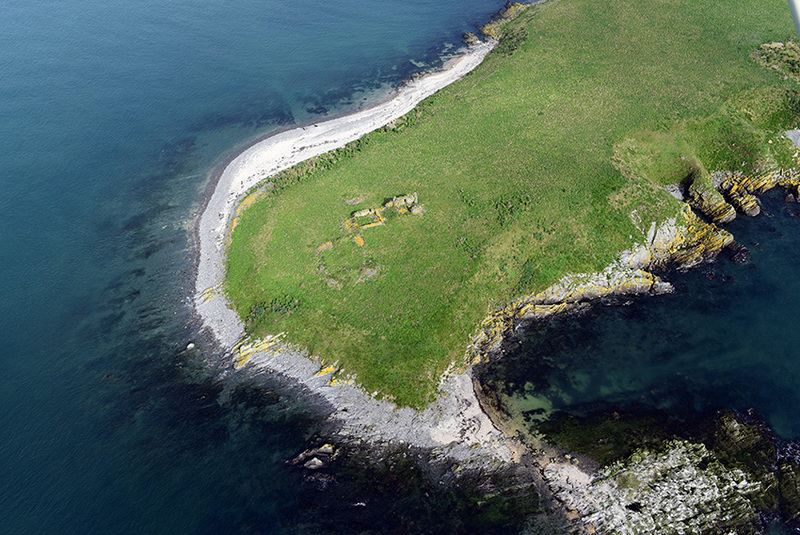 One of the key aims of the recent flying was to obtain new photography of CHERISH study sites in Dublin Bay, including Lambay Island and Ireland’s Eye which lie beneath the final approach to Dublin Airport. With international flights landing and taking off about every 8 minutes, the airspace is tightly controlled making it difficult to use UAVs. 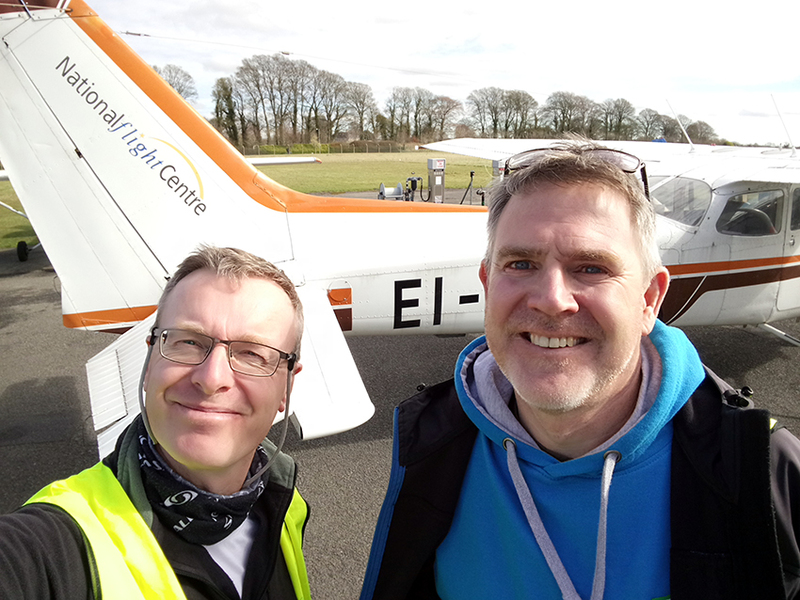 With a lucky break in the weather on 20h March we arrived at the National Flight Centre at Weston Airport on the outskirts of Dublin, whose experienced pilots are used to working with Dublin Air Traffic Control (ATC). Pilot Dermot O’Brien made some calls before taking off, packed lifejackets in case of emergency and then we routed out over Dublin city to the sea for some initial views of Dalkey Island – a CHERISH study site – and the Geological Survey of Ireland’s INFOMAR vessels moored in Dun Laoghaire harbour. 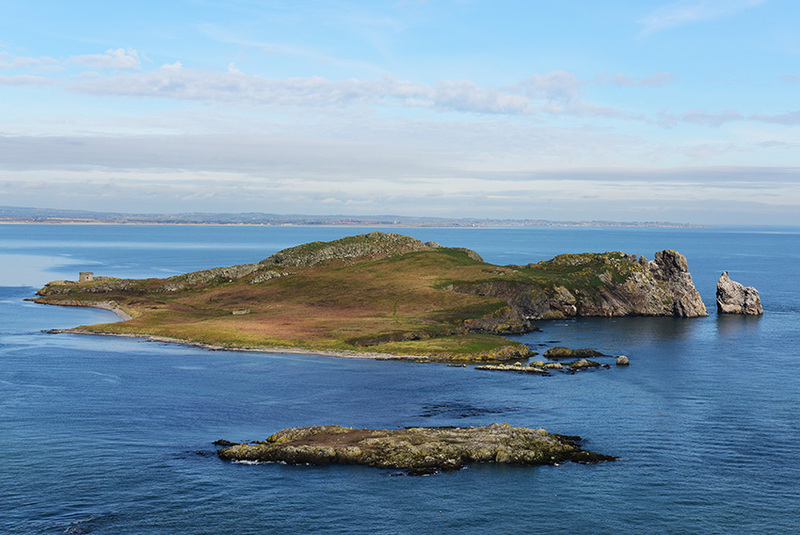 As the pilot negotiated ATC permission we moved north and steadily surveyed all our priority headlands and islands in Dublin Bay, keeping below 500ft and almost at eye-level with the lighthouses at Baily, Howth, and Rockabill! 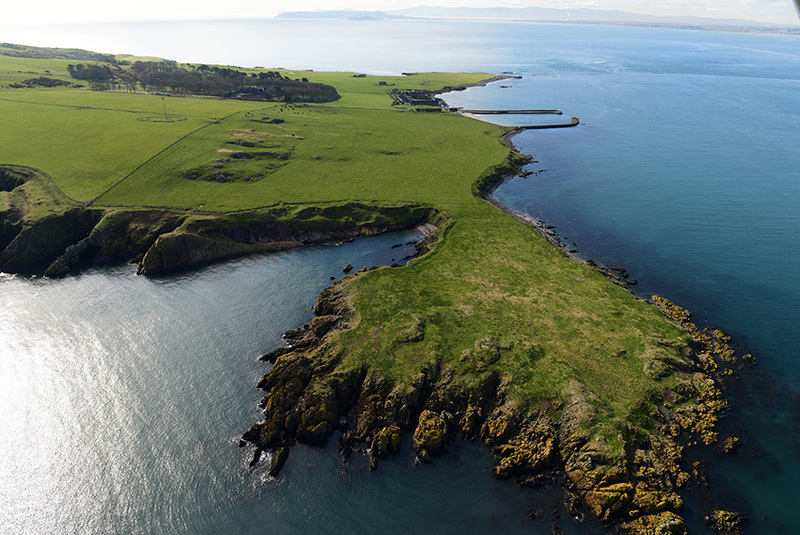 With clear March sunlight and virtually windless conditions we obtained hundreds of new aerial photographs for baseline monitoring of the key islands and headlands of Lambay Island, Ireland’s Eye, Drumanagh, Skerries and Bremore. Over the two days we carried out further aerial surveys along Dublin’s east coast from Bray to Arklow and beyond, taking in CHERISH study sites at Glascarrig and Kilmichael Point – the latter not long after the GSI had finished their own low-level UAV survey. 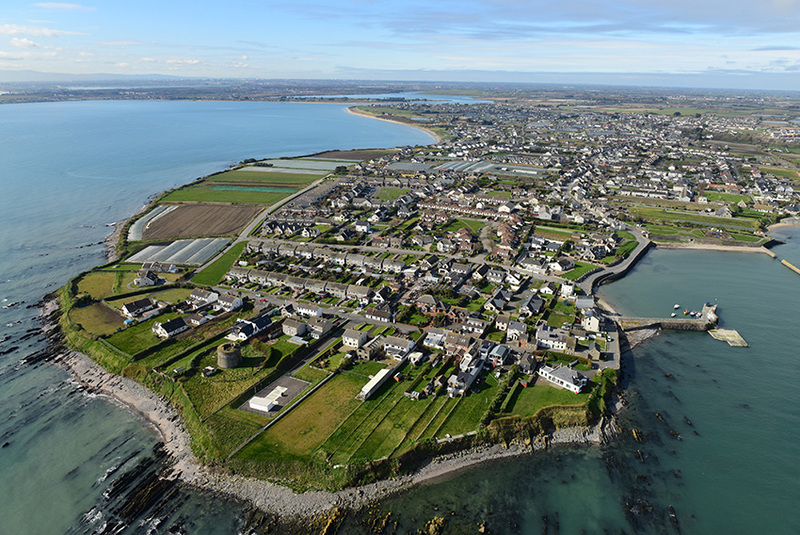 The pictures below capture a flavour of the incredibly varied coastal landscapes of eastern Ireland as seen from above. Toby Driver, RCAHMW and Robert Shaw, Discovery Programme, Ireland. 1. 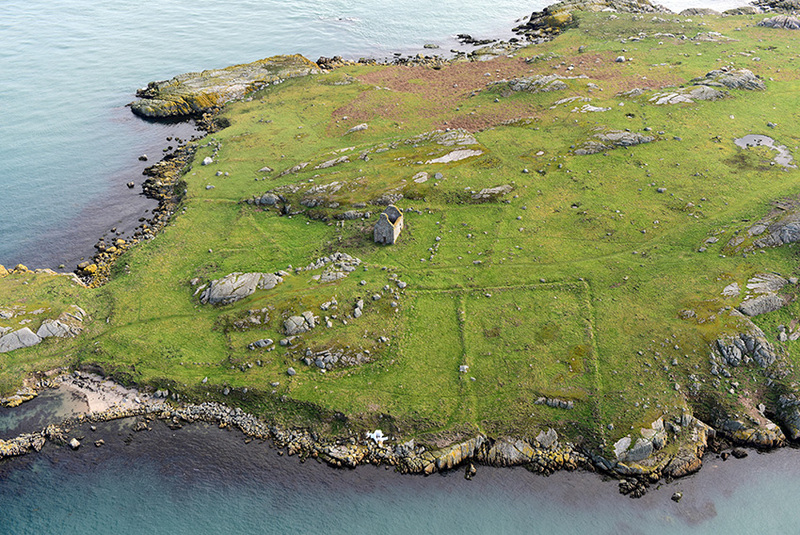 Archaeological remains on Dalkey Island. 2. Survey vessels of the Geological Survey of Ireland’s INFOMAR programme, moored in Dun Laoghaire harbour, with the Mallet (left) and RV Keary (right). 3. Windless conditions over Ireland’s Eye, Dublin Bay. 4. 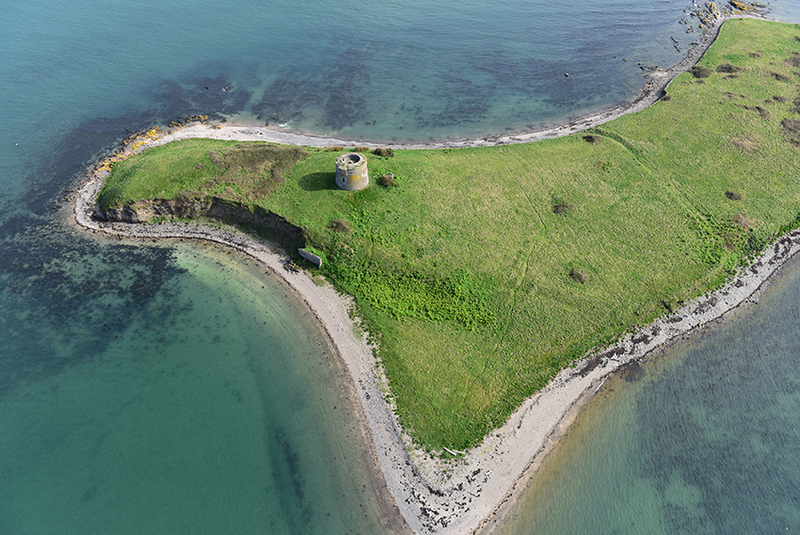 Coastal promontory fort on Lambay Island, Dublin Bay. 5. Rush, with its Martello Tower. 6. 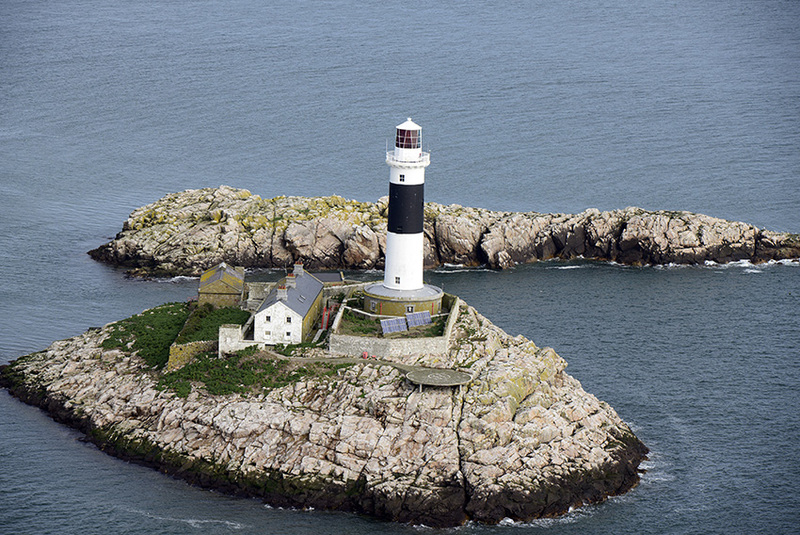 Rockabill Lighthouse, Dublin Bay. 8. Church ruins on St Patrick’s Island, Skerries. 9. 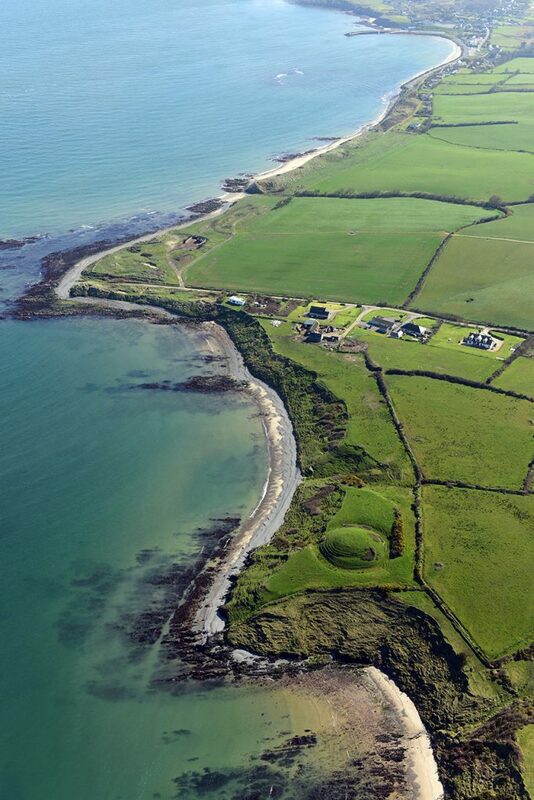 Glascarrig Motte, County Wexford. A 12th century Benedictine priory and associated motte and bailey. 10. Toby and Robert at the National Flight Centre, ready for take-off. Join the e-mailing list to receive regular updates.. It's free!